Lucy's Cards: AMAZING new digikits. 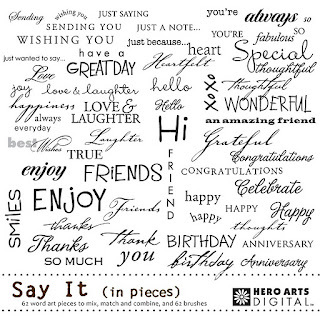 SO many sentiments in one kit... so many possibilities. You can just about create any message you'll ever need. :) Yay! 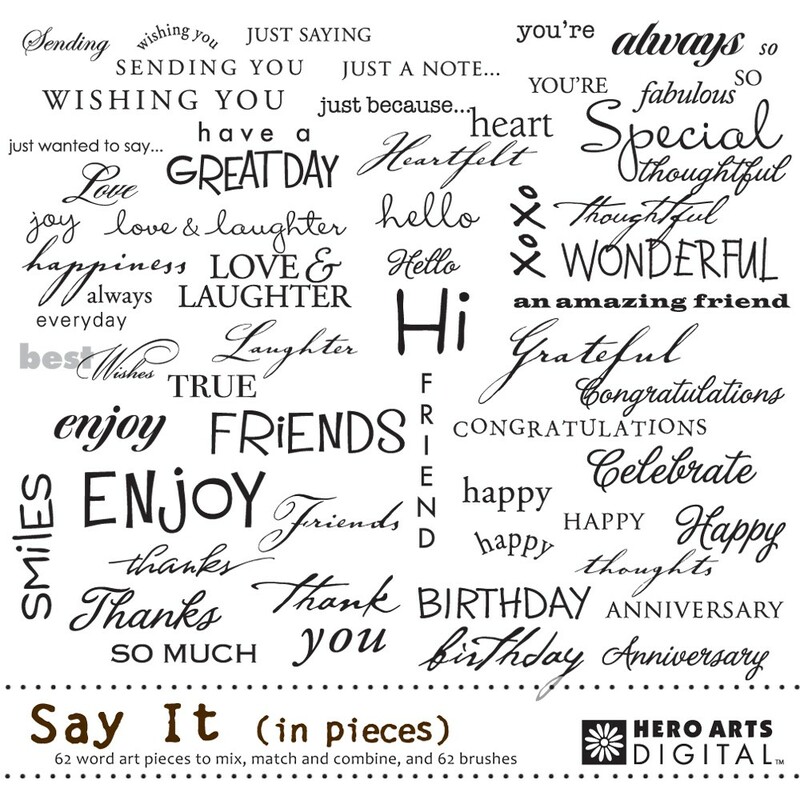 And it has two companion sets too - Say It (In Pictures), full of adorable images, and Say It (Again and Again) - another AMAZING sentiment kit. So today's card uses stamps from both the (In Pieces) and (In Pictures) kits. I used the cute musical note stamp from the (In Pictures) kit to create the background... I think I'll be using this background again. I love it :) The bird is also from that kit. So cute and quirky. I love your card! It is so adorable. Those digikits look great. fantastic, Lucy! I really want this one! Every time I come to your blog Lucy I am so inspired by your use of digital images, I should really use my digi kits more. The say it sets are fab, and such good value!!!! Love your card, Lucy! Those are WONDERFUL sets, thanks for giving us the links! Very fun card! I can never have enough sentiment stamps either! 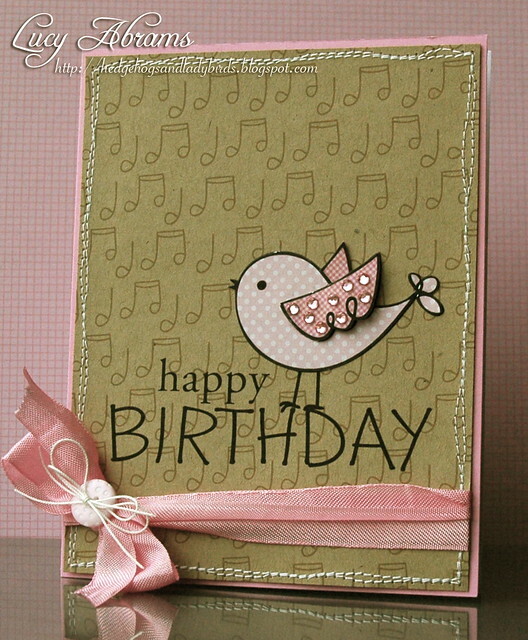 Love the little birdie in pink! Love that bird! Adorable card, Lucy! Great card that is super cute Lucy! You are such an inspiration! What a DELIGHTFUL card, Miss Lucy!! Makes me happy just to look at it! Your card is super cute! I popped on over an ordered this! I can't wait to have time to play.